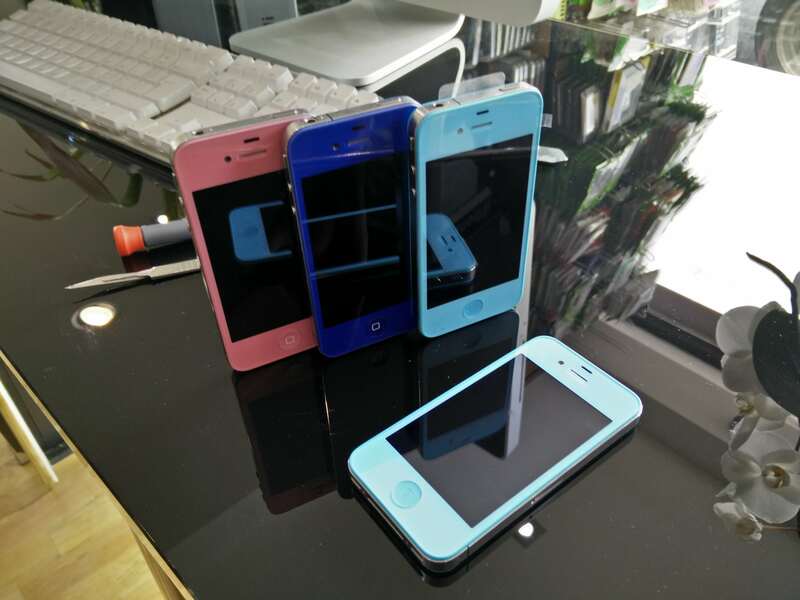 The iPhone 4 & 4S are lengedary phones and we do get many requests about colour conversions. We have a large panel of colours to choose from. The colour conversion repair takes less than 30 minutes if performed by our certified technicians. The LCD/Touch-screen, Home Button and Back Panel cover are change in this repair.